This both belongs in gaming, and creation station, since it's both a game, and a craft. Anyone know 40k, or play, or dabble, or know what the hell it is? 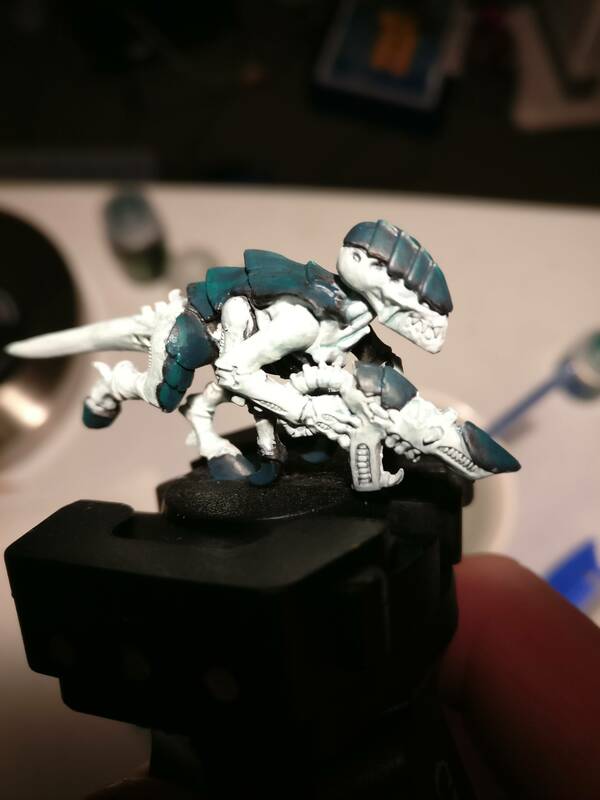 ...not much progress, currently stripping my 8 genestealers because I found I liked hive fleet tiamet color scheme (in picture). I have a lot to learn/do/buy before I can even play a normal game of 40k. Before I even made my first purchase, I knew I would go slow, else, why bother. It's expensive and time consuming, and I need a ton of stuff. But it's cool, 40k universe is REALLY cool (pretty much the ultimate dystopian universe, nobody is good, everybody is bad, and everybody wants everybody else dead), and it's a non gaming, non computer thing I can do that gets me to assemble and paint and whatnot. ...then buy more stuff, assemble more stuff, paint more stuff, as is warhammer. Will probably update whenever I get my current batch of assembled and primed models painted (20 in total). I put a restriction on buying any more stuff until I paint those, as to reduce a painting backlog, why buy what I cant even work on yet. Anyone else here remotely interested in the hobby? If any of y'all know how to paint, I haven't picked up a paint brush in 20 years and it shows, I need a few pointers. I love the character designs and lore, though.